What can you tell me about "Panoramafreiheit"? Gesundheit! But seriously...you must be referring to the European Union's 2001 Information Society Directive that states that photos of architectural projects in public spaces (monuments, buildings, etc.) may be taken and published free of copyright infringement concerns (literally, freedom of panorama). That's like the United States, where you're pretty much free to take photos of any landmark or building and use those photos as you choose. That's the rule in many European countries, too. But not, alas, in France, Belgium and Italy! There, certain architectural works are protected, and unless you're taking the photo for your own private, non-promotional use, or on a "private website" (whatever THAT is!?!) you have to get permission from the rights owner. You see, that EU directive was optional for each country to adopt, or not. Now we all know (or at least should know) that Gustav Eiffel built his tower in 1889 and died in 1923. That means, Jerry, that there is no protection anymore for what French artists lovingly called a "ghastly dream", so snap away...but ONLY during daylight. As most viewers of Rick Steves know, M. Eiffel's tower now sparkles with thousands of lights each hour at night. In June, 1990 a French court ruled that the lights were an "original visual creation" protected by copyright. The Court of Cassation, France's highest court, upheld the ruling in March 1992. The The Société d'Exploitation de la Tour Eiffel (SETE) now considers any illumination of the tower to be under copyright. So don't dare to photograph them, at least not if you intend to publish the photos in France! Want to know where it's OK to photograph? Ask the attorneys at LW&H. They deal with copyright laws, model releases, and similar minutae, and seem to really enjoy doing so. Query: What Do Shrimp de-veining, a PC Operating System, and DNA Amplification Have in Common? Answer: In each of these situations, a copyist tried to avoid U.S. patent infringement by exporting assembly of a patented U.S. invention to another country. In Deepsouth Packing Co. v. Laitram Corp., 406 U.S. 518 (1972), a copyist made parts of a patented shrimp de-veining machine in the United States, then exported the parts to its foreign buyers for assembly and use abroad. The Supreme Court found that the export of the unassembled parts of an infringing machine did not infringe the patent. The Court refused to extend liability for infringement of U.S. patents outside the U.S. without express direction from Congress. "Whoever without authority supplies or causes to be supplied in or from the United States all or a substantial portion of the components of a patented invention, where such components are uncombined in whole or in part, in such manner as to actively induce the combination of such components outside of the United States in a manner that would infringe the patent if such combination occurred within the United States, shall be liable as an infringer." That brings us to the very recent case of Promega Corp. v. Life Tech. Corp. (Fed. Cir. 2014). Promega holds U.S. patents for kits for amplifying DNA. The kits allow forensic identification by law enforcement agencies and are also used in cancer treatment. Promega licensed its technology to Life Tech. Life Tech violated the terms of its license and Promega filed suit against Life Tech for infringement. In short, after the Promega case, export of a crucial part of a patented invention so that the entire invention is assembled outside the U.S. is an infringement of a U.S. patent. If you ever thought that trademark disputes could be arcane, well here's proof. Dov Seidman, an international business consultant on ethical business cultures, and Chobani, the yogurt maker, are duking it out in court over trademark rights to the word "how". Maybe you didn't realize that you could actually own trademark rights in common words such as "how." So, how - excuse me - did this come about? Seidman, the author of "HOW: Why HOW We Do Anything Means Everything " and the "How" column in Forbes Magazine contends that Chobani stole the term "how" for use in its widely viewed yogurt ad campaign, "How Matters." Of course, Chobani rejects the notion, claiming that it never heard of Dov Seidman or his purported "trademark". 1. 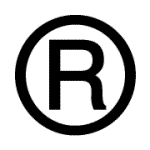 Can you actually have trademark rights in a common words such as "how"? 2. If the test for trademark infringement is the likelihood of confusion, will Dov Seidman's consulting customers confuse his services with those of Chobani or, conversely, will Chobani's yogurt customers be confused by Dov Seidman's use of the "how" term? Yes, one can obtain trademark rights in a common term if use of the common term is distinctive and not confusing to consumers. Nonetheless, common terms are generally considered to be weak trademarks and in many contexts may not embody trademark rights. On the other hand, as we have discussed in this column, the best and strongest trademarks are fanciful marks such as Kodak or Kleenex, to name just two. The second question posed by the "how" case, whether the parties' use of the term would cause confusion in the marketplace, almost seems ridiculous. Recall that a "trademark", by definition, "is a word, phrase, symbol, and/or design that identifies and distinguishes the source of the goods of one party from those of others." Does Mr. Seidman rely believe that his high-end corporate consultant customers will confuse his goods and services with those of Chobani? If he wants to prevail, Mr. Seidman has an uphill climb. HOW will he do it? We'll let you know.